Grooming should not be thought of as a mundane chore, but an enjoyable pleasure. 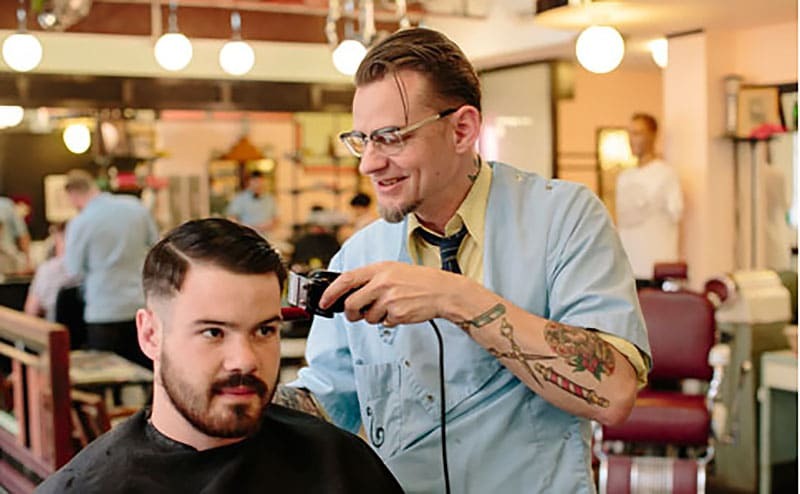 Luckily, with Sydney’s wide range of edgy, quirky and traditionalist barbershops grooming can be looked forward to, embodying more of an experience as opposed to a bothersome errand. 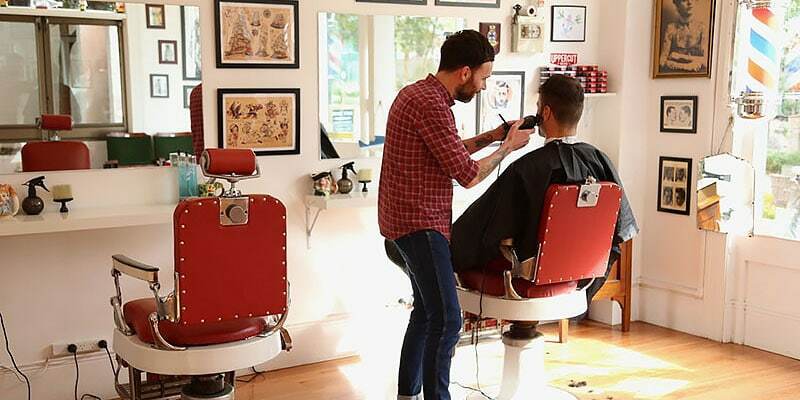 We’ve scoured Sydney for seven barber shops that will chop, clip or shave you old school. The dimensional lighting and calming atmosphere of the spaQ Sydney Barber Shop is truly an experience to behold. Providing a nice change from the hustle and bustle of the city, this barber shop is famous for their straight razor shaves and relaxing vibes. Book ahead for a truly calming experience which will leave an impression. 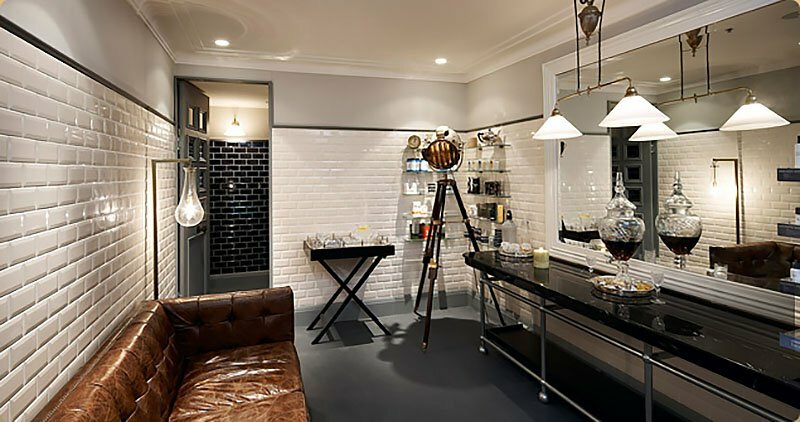 This parlour-style barber is the ultimate for the ‘discerning modern gentleman’, combining superior grooming services with the benefit of a cool cocktail bar boasting classic European influences. Open later on Thursdays and Fridays, this establishment raises the bar with its superior hot towel shaves and beard trims. In the heart of the CBD, The Barber Shop is the perfect location for a quick cut or trim. 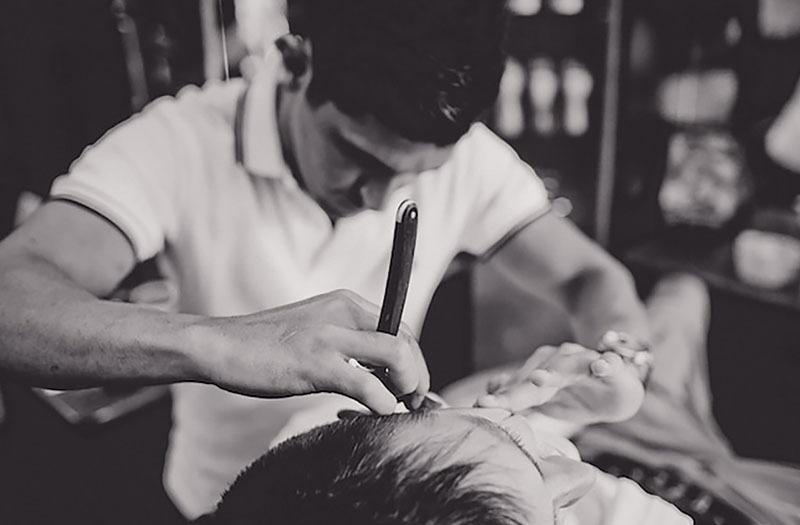 An appealing thing about the Barberhood is that it doesn’t require appointments. 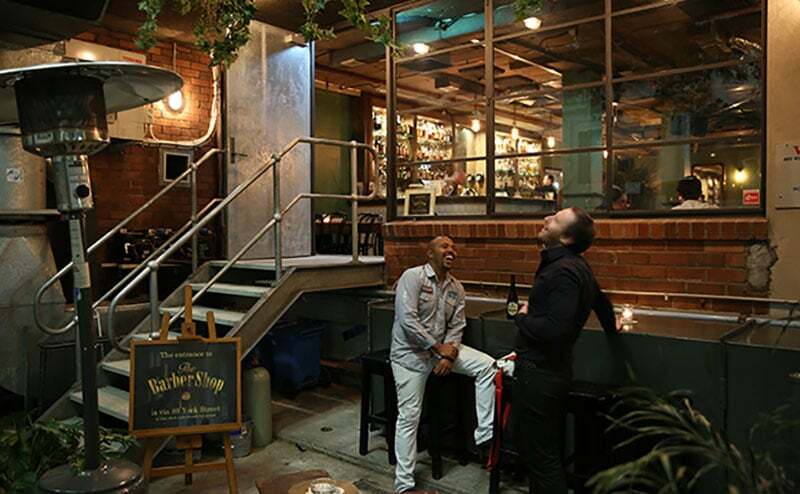 The quirky barbershop is charismatic with its luxury grooming services and traditional barbering techniques on offer. 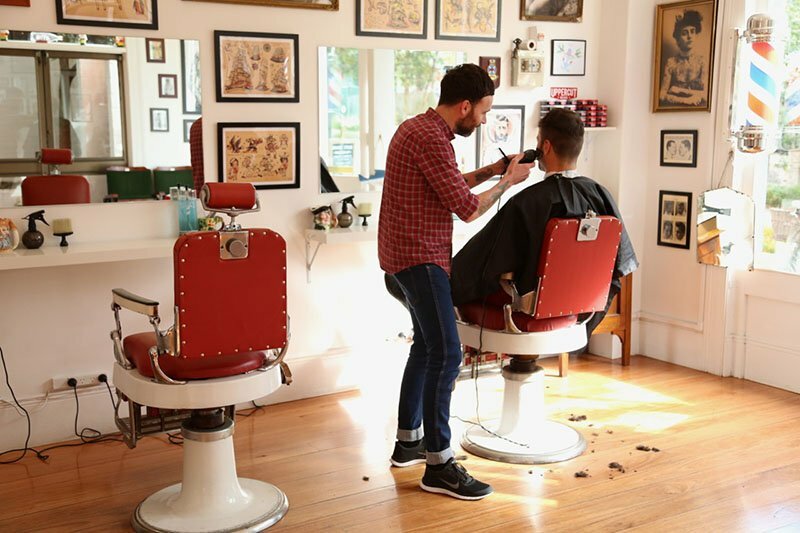 With an emphasis on its music system and overall cool feel, the shop is perfect for a quick cut and shave, providing a place “where all gentlemen are handsome”. This visually appealing, glossy tiled grooming lounge is as charismatic as they come. With its vintage leather couch and melodic croons of Frank Sinatra on repeat, Face of Man is intimate, yet luxurious. With drinks served and its overall old world atmosphere, its location is handy for an escape to another time. The vintage inspired cuts from Sterling will leave a lasting impression. With traditionalist tools and classic fifties influences, Sterling is owned by Tony Vacher who heads a successful team who are equally talented as they are professional. Lovers of the Rockabilly era will admire the vintage set-up, which boasts classic chairs and fifties imagery. Step back in time with the retro influences, but don’t underestimate the superior modern haircuts available. With a name as fascinating as its retro interiors, this barbershop is an ode to old school grooming. With scarlet vintage barber chairs and big white windows, its retro charm is paramount. 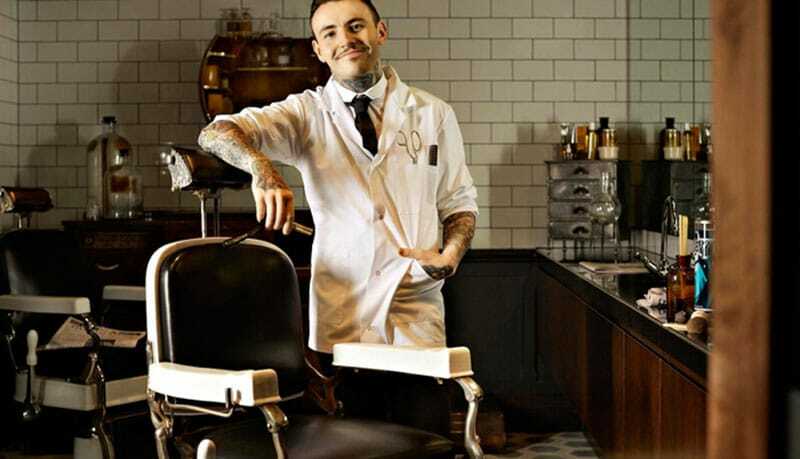 Boasting over 15 years experience in Sydney and London, the barbers promise “good old-fashioned service with a smile”. And that’s all there is to it.